Building a Photography Website? 9 Mistakes That Cost You. Building a Photography Website? 9 Mistakes That Could Cost You. Are you struggling with building a photography website? Have you questioned if your website is running at its full potential? Chances are it’s not, 70% of all websites on the internet aren’t fully optimized for the modern day Web. 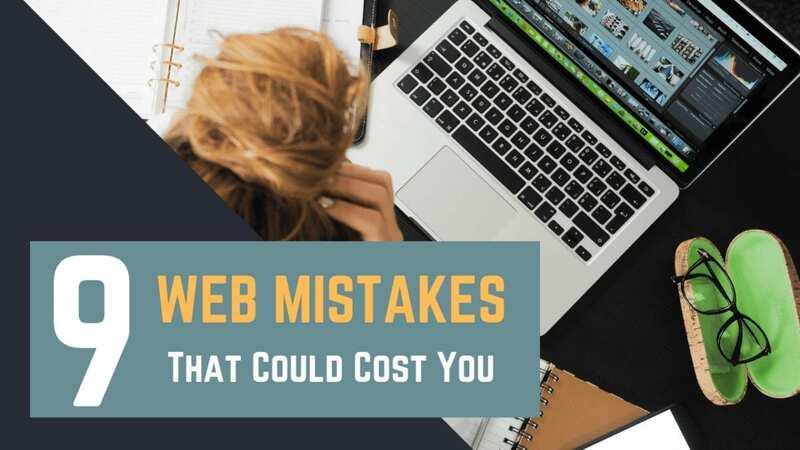 Websites that can’t keep up with current standards will start to collect cobwebs and ultimately damage any progress you’re trying to make when promoting your business online. Here are 9 mistakes you might be making that could be killing your traffic and preventing you from getting more clients. Speed Up Your Websites Loading Times. If you think your website’s load times are perfectly fine, chances are, the’re nowhere near up to par with most visitors’ attention spans. In fact, if your website takes longer than 3 seconds to load the chance of a visitor backing out and visiting another site is extremely high. 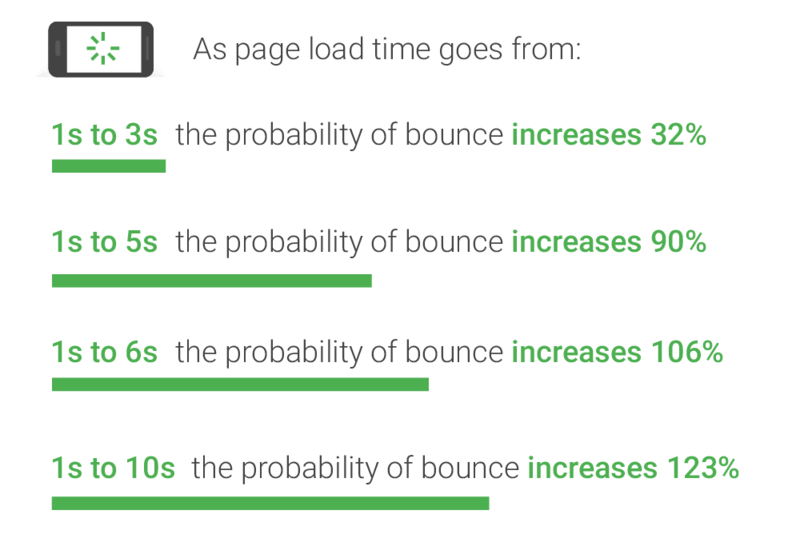 Google is progressively favoring websites with quicker load times, especially on mobile. This means your page load speed will directly affect how high you rank in their search listings. As a result, competitor sites with faster load times will outperform your website in search results and visitor retention. 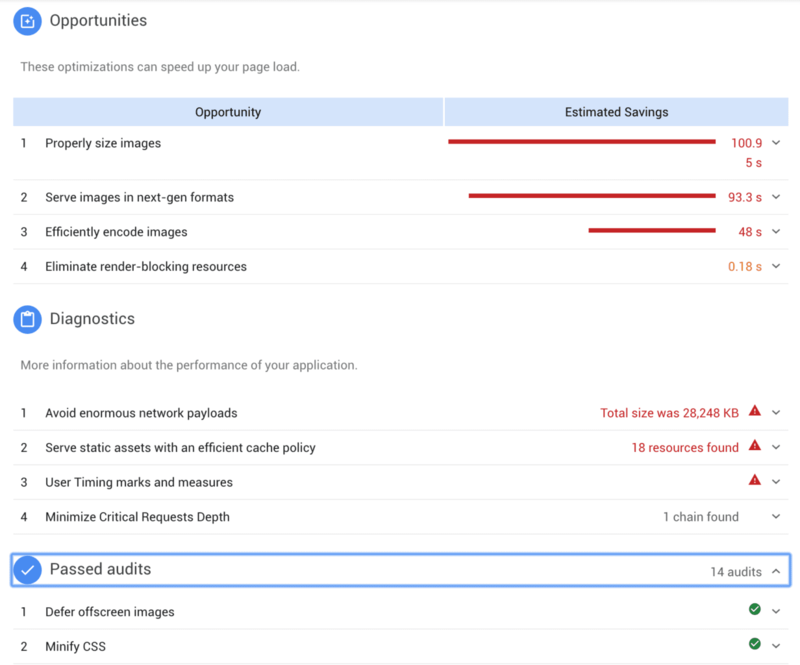 The first step you can take towards identifying what’s slowing down your site is to enter your URL into a website performance analyzer online like Google’s PageSpeed Insights. Not only will it tell you how fast your site loads, but it will also tell you specifically what is wrong with your site. Bottom Line: The faster your website loads the more users will stay on your page and the higher you will rank with google and other search engines. Optimize Your Images For The Web. So what’s one way you can speed up your website?? Optimizing your images for the web is usually the first step to take. Lots of photographers make the mistake of not compressing their photos when uploading their work online. Large file sizes and complex file types are great for beautifully detailed shots but are horrible for load times. They will hurt your traffic in the long run unless you get them compressed like I detail below. Generally, large images should be anywhere from 200 to 400 kb in size. The smaller the better. Using file types such as JPEG and PNG is recommended and is preferred by most internet browsers. The good news is compressing your images is super easy! Also, compressing your images doesn’t necessarily mean that your photos have to suffer. There are countless services online that seamlessly compress your photos and drastically decrease the work a browser has to do to load the images. This will help your site load faster and bring in those potential clients even faster. A popular solution to optimize your web images is to use one of adobe’s products like Photoshop or Lightroom. I recommend using Lightroom since it allows you to export photos in bulk to make the process quicker. For example, when exporting from Lightroom you’ll open the export settings window and find the file settings section below pictured below. Here you can limit file sizes and manage the quality of your images. Bottom Line: Compress all your images on your website to reduce the time it takes for your site to load. 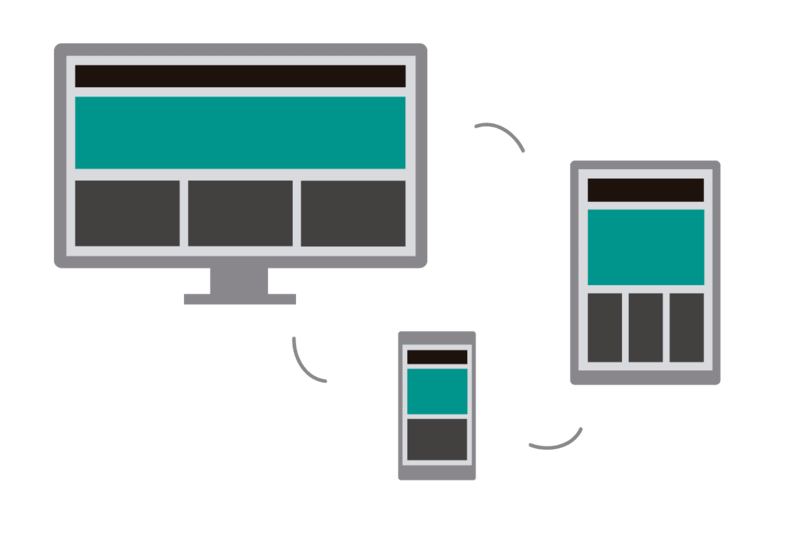 Make Your Website Responsive For All Devices. It’s 2018 and if you’re not surfing the web on your laptop then you’re probably checking out your favorite sites on your phone. Or basically any other kind of device with an internet connection. Mobile web traffic has surpassed desktop and phones are outselling computers more each day. People are resorting more to their phones to find what they need online and your website needs to be responsive to mobile traffic. Website responsiveness means how quickly your site can reorganize depending on the device your visitor is on. A responsive site will lay out everything neatly for display making the experience on your site a lot more pleasing and smooth. For users that visit your site more than once and on different devices, it’s vital for the layout to be consistent for each visit. Otherwise you risk your users having a subpar and confusing experience when they return on different devices. This will end up hurting your conversion rate and drop your search ranking. Once again, Google prefers websites with responsive designs and rewards them by ranking them higher in their search results. Make sure that your site has a responsive design or you might be penalized and suffer in your SEO. Revamping your photography website can often be a diligent and time-consuming task. If you need help making your website responsive to cater to all your potential clients. You can apply to work with us by clicking here. Bottom Line: A responsive website adapts to any device and improves the user experience increasing your chances to land more clients. Add Calls To Action On Your Website. Your website should have a clear goal. Whether you are trying to showcase, sell, inform or even entertain. You need to make sure that your visitor knows what they’re supposed to do next and is guided to that goal. Calls to action are perfect for this very reason. These calls to action can be presented in many ways. In most cases, we recommend having entire sections dedicated to your calls to action. You can get creative with how you go about it but your calls to action should always be attention-grabbing, reassuring, and interactive. Typically your calls to action will be buttons that link to your desired location. 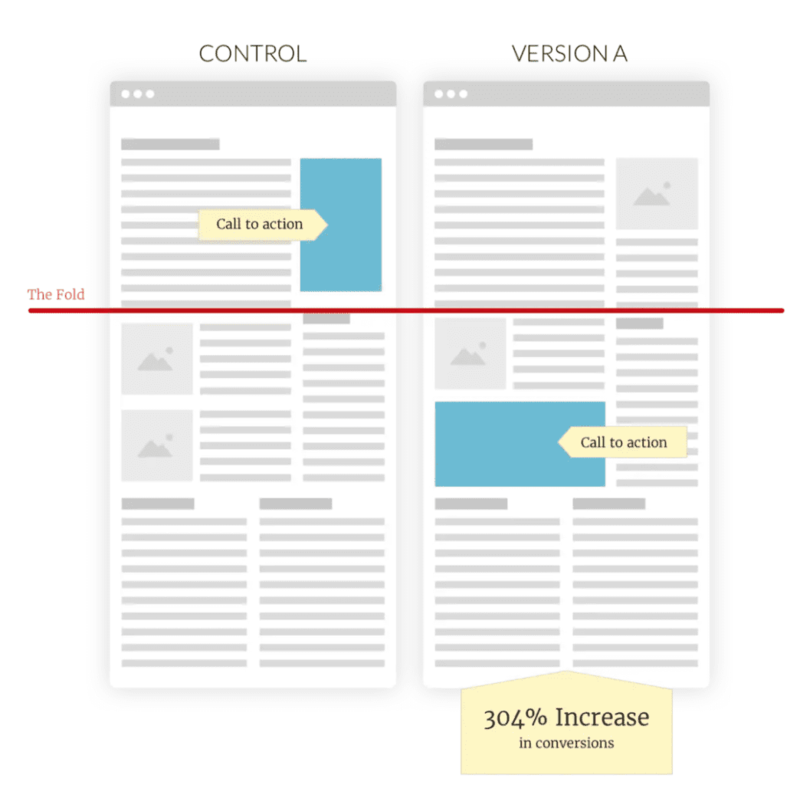 Try to place your calls to action where your visitors’ eyes are most likely to go. Here’s an example of how a website with a call to action significantly improved once it was moved to a more visible location from the sidebar. Bottom Line: Calls to Action are a must and guide your user to the next step of their journey. Make Your Contact Section Easy To Find. The contact section is one of the most crucial on your website. It should be one of the easiest thing to find on your site – typically being at the bottom of each page. The more hidden a contact form is the less inquires you’ll receive. 64 percent of business website visitors expect a contact section and 44 percent of visitors will leave if the contact section is not easily accessible. So, what are some ways that you can improve your contact section? Well, your contact section should be on every page and typically located at the bottom of the page. If a client is ready to inquire with you then you want to make it as easy as possible for them to do so. Your calls to action should be located all over your website to work hand in hand with your contact section. Call to action buttons will make arriving at your contact section far easier by redirecting visitors to your contact form. Extra Note: If you’re looking to do this in a slick way. Then make your call to action button anchor to your contact section at the bottom of the page. This means that when someone presses your contact button it will automatically slide them down to the bottom to your contact form. A contact button in your main navigation bar is a must. Also, add your business phone number to your contact section. it will go a long way in getting you more inquiries. 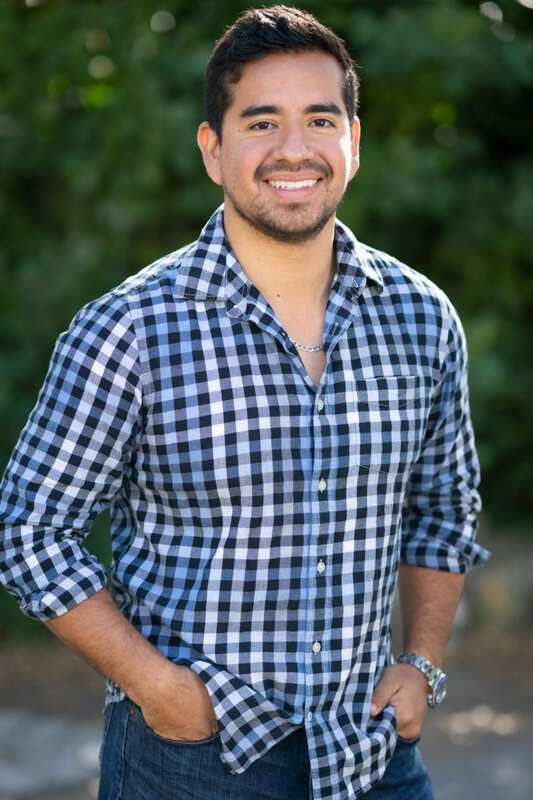 Potential clients appreciate knowing that scheduling a session is just one click away. Bottom Line: Make your contact section easy to find and use call to actions to help your users get to it quickly and conveniently. 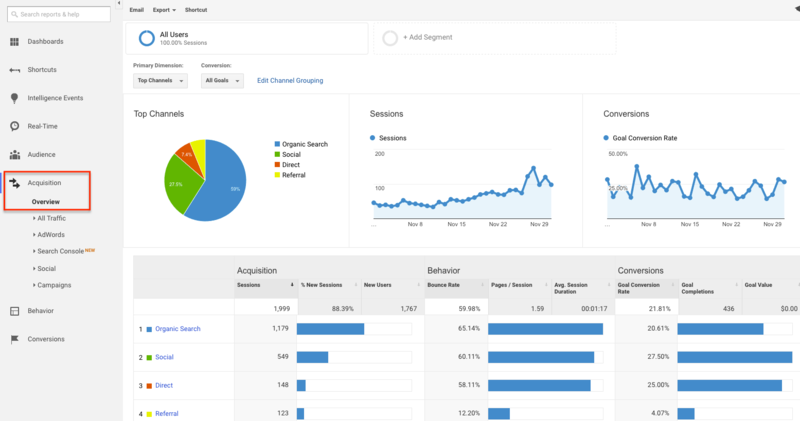 Start Tracking Your Website’s Analytics. Tracking your website’s performance is by far the most important item on this list. You can work extensively on improving your website and launching marketing campaigns. But if you don’t track the performance of your website, how would you know if any of it is even working? Powerful tools like google analytics provide essential information that when interpreted correctly can help your site traffic skyrocket. Not only does google analytics measure how many people are visiting your website. But it keeps track of gender, general geographic location, age, interests, and much more. Tracking the traffic of your individual pages and posted content will give you an edge. Knowing what material on your website visitors want is valuable to continuous progression and growth. Depending on what you find you’ll want to tinker. Test your content delivery strategies until you find topics that are consistent hits with your viewers. Interpreting these metrics can be overwhelming and time-consuming if you don’t know what to look for and what to make out of it. Here at Photography to Profits, we work with plenty of photographers making sure their businesses are targeting the right people. And creating strategies based on the data we gather. If you want to work with us to start gathering your website’s analytics and making the right decisions you can apply by clicking here. Bottom Line: The best way to track how your website is doing is by measuring the analytics with an online service like google analytics. I understand that SEO can be intimidating and confusing at times. But if you keep things simple and work at it consistently you’ll be able to see amazing results from your efforts. The thing is, you don’t have to “figure google out” or be perfect at SEO. All you have to do is be better than your competitors and you’ll get ranked higher. There’s an incredible opportunity to generate a ton of business for yourself through SEO. This is especially true because most of your competitors are terribly intimidated by working on their own SEO. As a result they’ll procrastinate those efforts and continue to not even know where to start. For many people looking for information, services or a product, search engines are typically the first solution they turn to. Because they’re instant, reliable, and free. If your website has poor Search Engine Optimization. Then services like google will rank you lower in their search results. This will be detrimental to you and your business because most people find what they need on the first page of their search results. So, if your competitors are ranking higher than you than they’re that much more likely to grab the web traffic that you aren’t. Bottom Line: In order for your clients to find you on search engines, you need to optimize your SEO for your audience. Otherwise, you will continue to be ranked low on search results and hurt the amount of inquiries you get. User experience is everything. You need to be able to tend to your visitors’ questions if they have any doubt about your services. When your potential clients don’t understand the process of how your sessions work and can’t get simple answers quickly. Chances are they’ll go to a competitor that offers a clearer message of what their services entail. A well thought out FAQ section will save you both money and time on customer service. You’ll end up having clients that feel taken care of and are confident to spend money on what you have to offer. The above is a great FAQ section. As you can see the writer has taken the time to predict any scenario that might make their client anxious and removed any doubt from taking the leap. Bottom Line: Adding an FAQ will save you money and time on customer service as well as improve the user experience. Integrate Social Media Onto Your Photography Website. I’m sure you’re aware of the mass scale and impact of social media. It is one of the greatest tools that a photographer can use to keep engaging with clients and their community. However, getting your inquiries through Instagram DMs isn’t optimal. That’s why your website and social media need to work hand in hand. Encouraging your web visitors to follow you on social platforms keeps you around them on the applications they use all the time. By gaining followers you give yourself the opportunity to stay top of mind with your potential clients. Our belief is the photographer that is hired is the one that is thought of the most. By putting out quality posts regularly you’ll ensure that you’re the photographer that gets hired when the time comes. Post a healthy amount of social media content and promotions that will organically pop up on your followers’ feeds. This will lead to new and returning visitors to your website which will act as a sales page to close the deal. Bottom Line: A relationship between your social media and your website will help bring in clients. By doing this, it will especially help you keep customers returning to book more sessions with you so make sure to include it on your website. There are many things that a website needs to be perform optimally. Sometimes, some of the most important things can get overlooked when worrying about designing your website and creating content for it. However, if you want your website to succeed and bring in plenty of visitors. Focus on the little details to speed up your website and make it as accessible as possible. Next Next post: Install the Facebook Pixel on Your Photography Website in less than 10 minutes! You have broken links on the right side of the screen under RESOURCES. I did finally find a link on the main page that worked! Yahoo!!! Thanks! We’ll fix that right away!